Breast Milk is the perfect food containing vital proteins & energy that provide complete nourishment to every baby. 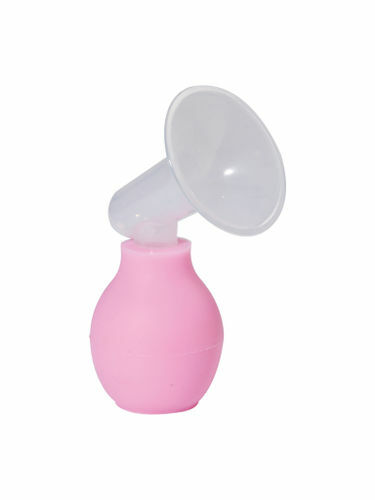 Mee Mee's Manual Breast Pump with Collecting Cup is an extremely compact, lightweight and travel-friendly expressing set. It is especially made to help breastfeeding mothers express milk faster, more discreetly at anytime, anyplace. It is easy to assemble, carry, sterilize and use. Gentle on mother's sensitive skin, prevents redness & rashes. Made from environmentally safe materials that are non-toxic & BPA free. Mini, light and multi-functional. Convenient for outdoor and home operation. All parts that come into contact with breast milk are BPA-free. All Mee Mee Breast Pumps recommended by IMA and certified by BIS (Bureau of Indian Standards) & ISI.